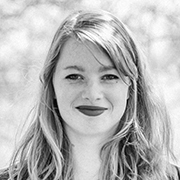 Myrthe de Beukelaar is a market analyst at Innova Market Insights, an international market research company that tracks new food and beverage product launches. Myrthe holds a master's degree in Nutrition & Health and is specialized in consumer behavior and health communication & innovation. At Innova, she uses her commercial knowledge, nutritional knowledge and analytical skills to provide Innova’s customers the insights they need to succeed.